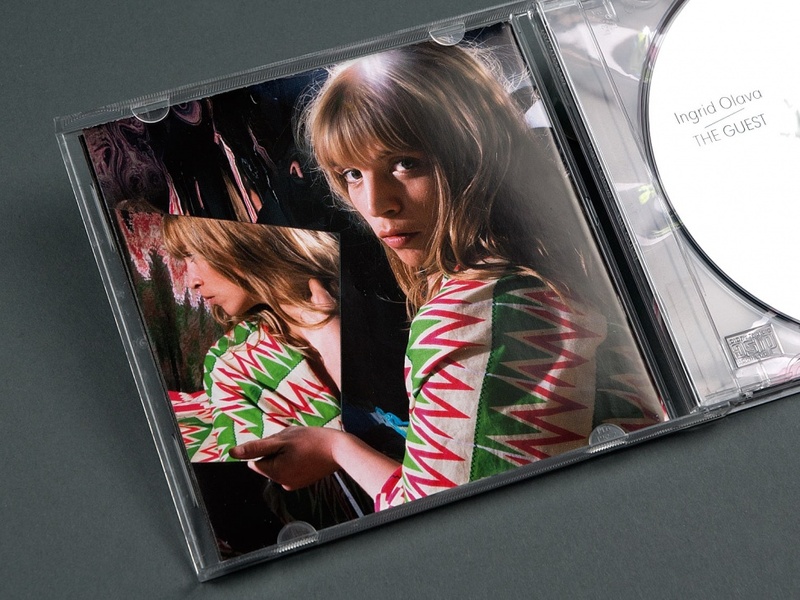 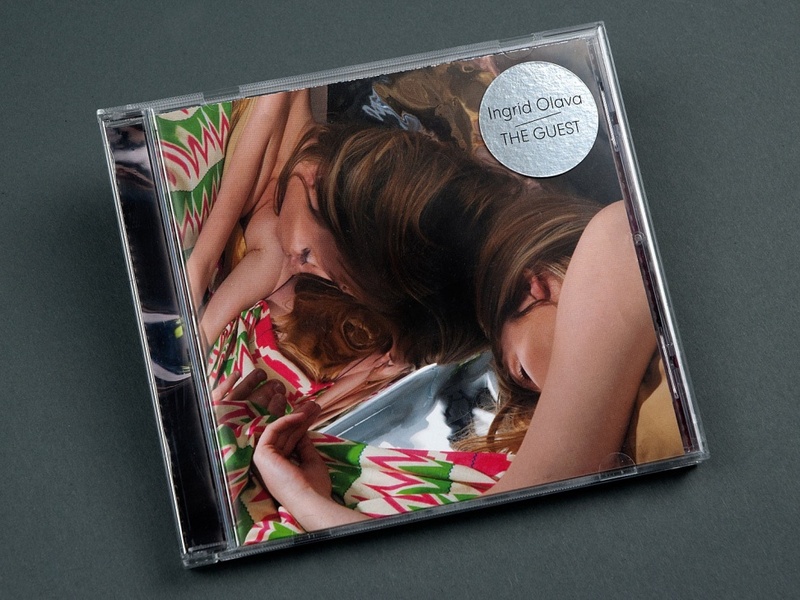 The artwork for singer/songwriter Ingrid Olava’s 2010 release, The Guest, was made in close collaboration with photographer Anne de Vries and the artist herself. 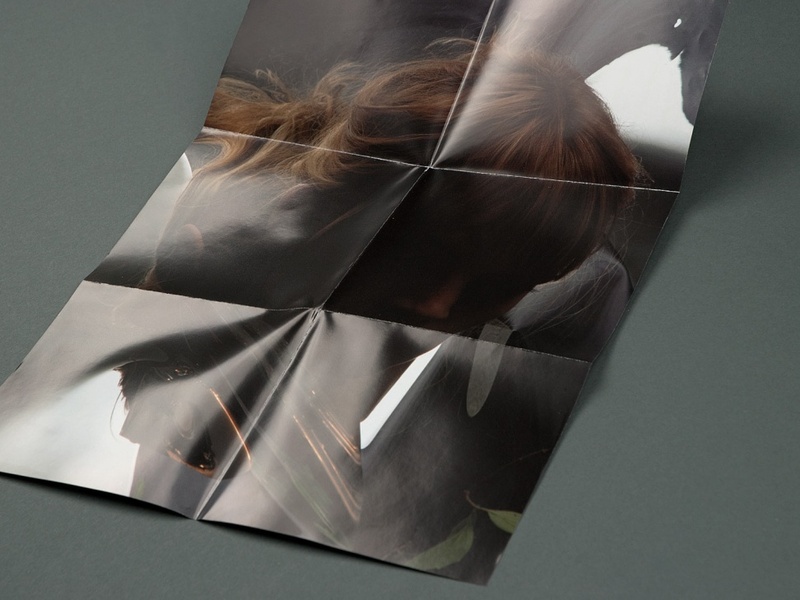 Her texts are self-reflective, revolving around the human psyche, often with dreams as a source of inspiration. 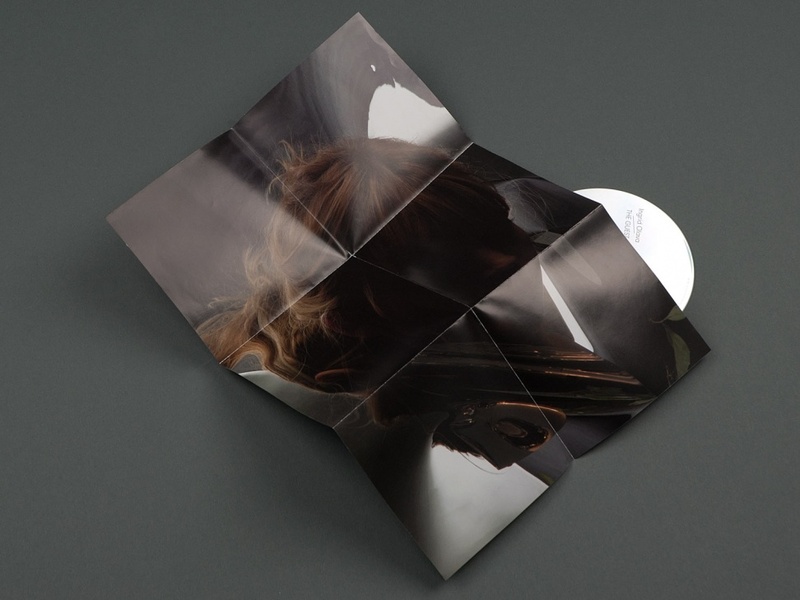 We used reflective foil during the shoot to create low-tech special effects for the photos that formed the foundation for the cover design. 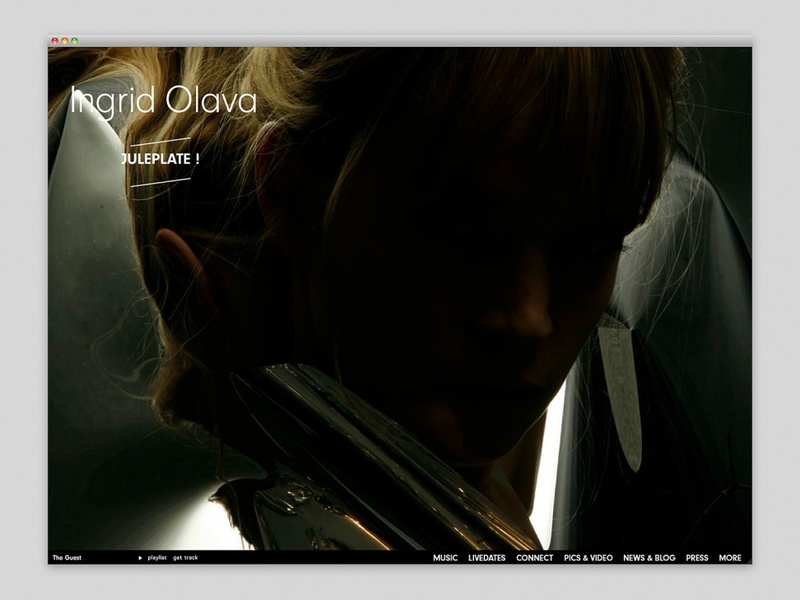 The website for Ingrid Olava was made in keeping with The Guest, in close collaboration with André Pahl. 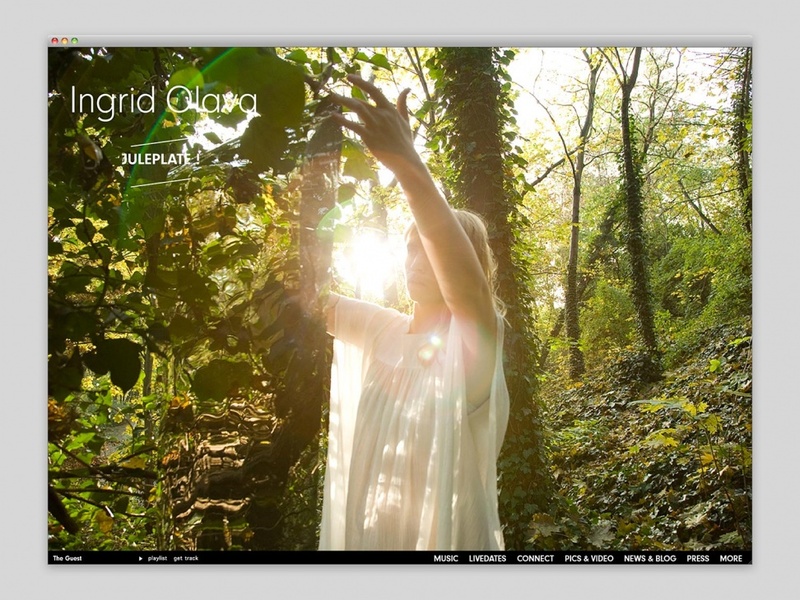 The photos by Anne de Vries are dynamically scaled to fill the browser window. 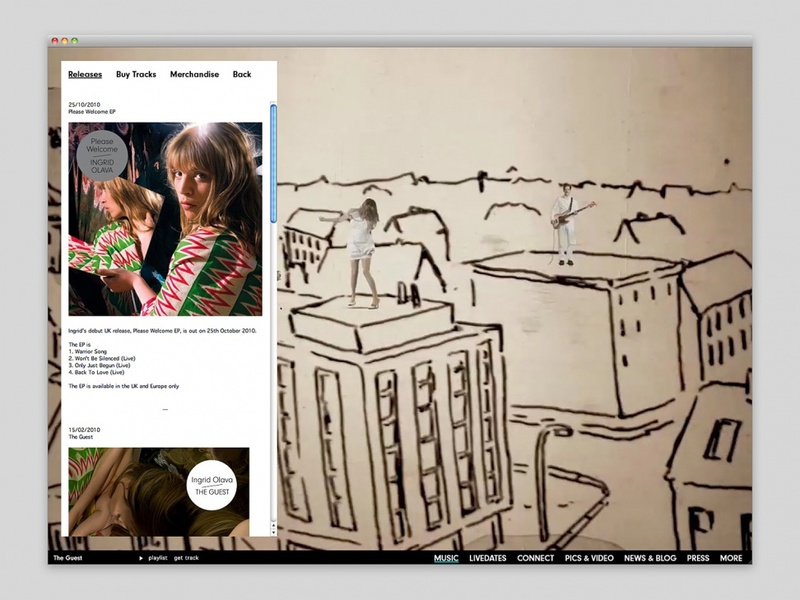 The site is based on a custom-made content management system and pulls information from various sources such as Twitter, Flickr and YouTube.